Syllabus of the Online Course (Subject): Port of Tema and Port Takoradi (Ghana). Gateway to West Africa. Higher Education programs adapted to Ghanaian Students. 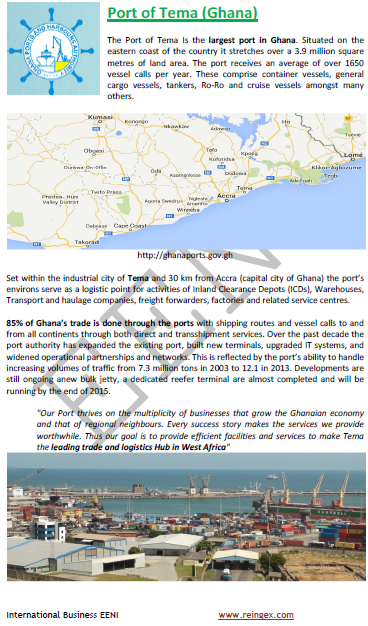 More information about Ghana (African Portal - EENI Business School & HA University).